This past week has been all about easy dinners! And I guess a pasta/seafood theme. 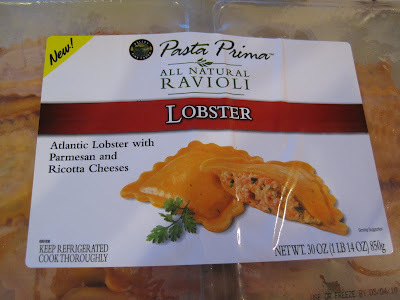 In addition to the Crab & Artichoke Orzo Salad, we've been enjoying some Lobster Ravioli, purchased at Costco. These are just OK. Maybe our expectations were too high but we both said they didn't taste as good as we expected (hoped). We used jarred sauce. The sauce was sort of an impulse buy. 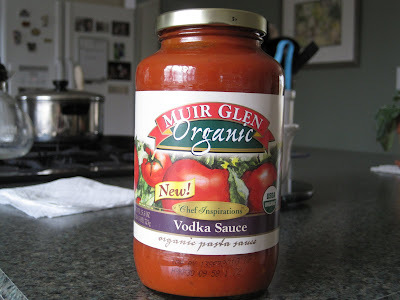 There was a huge display of Muir Glen Organic Pasta Sauce next to the check out several weeks ago (at Market District) and the flavors sounded yummy. Plus, the sauce was on sale. So we decided to try it since we knew we were out of jarred sauce. 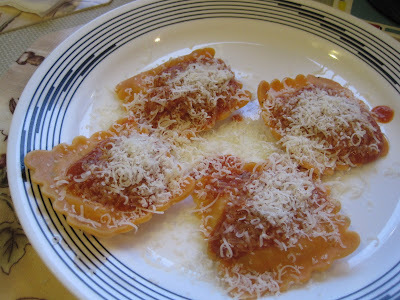 We like to keep jarred sauce on hand for those times when you suddenly realize there's nothing for dinner (not even eggs) so you figure you'll cook some pasta/pull some frozen ravioli out and heat some sauce but then discover there's no sauce so you have to eat your pasta dry or with butter. We try to avoid not having sauce! I haven't had many notable Costco finds lately, either! 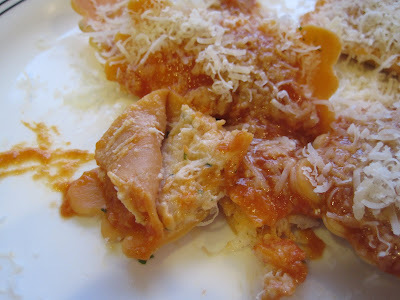 Though, their frozen spinach ravioli are delish!